Have you got anything from Cork 1988? I am on my Pro Stocker for about 3 seconds!!! Check out the guys channel on youtube, he has a few. Nice, I like that, it brought back some memories. I used to race against some of those guys. 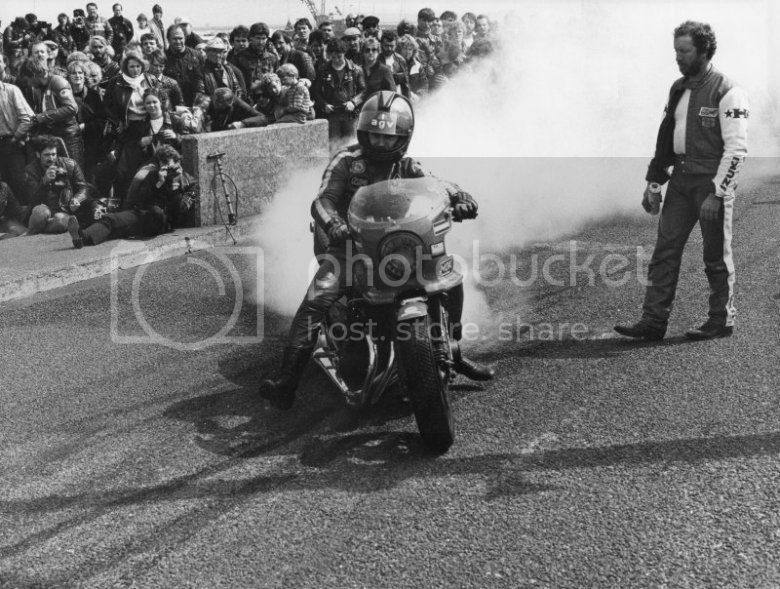 I haven't seen Tony Middlehurst (the guy with the beard from SuperBike Magazine), since I beat him to the win at the Ramsey Sprint in 1984. They must have changed the direction of travel after I raced there as we went the other way, which meant a right hand bend not a left as it is in that video. If you wonder why that makes a difference, ask any superstreet or pro stock drag racer with 2" of clearance on the right how hairy that course was. I put a stainless bashplate on my brand new V&H Pro Pipe for Ramsey 1984. Beat the crap out of it and did most of my runs in the gutter. Yep, that was Ramsey, not good on a low bike. Had the same problem riding the gutter after mid course. Scarry. 80's and 90's the best years. Some great pictures. I really miss drag racing. I think I need to start up again, but I would have to find an OAPs drag racing club to be competative, I am just 20 years too late. Bill hunters spondon................:loveit: would love to know whatever became of it. I know some plank turned his steel framed version into a bandit 12.
some plank turned his steel framed version into a bandit 12.